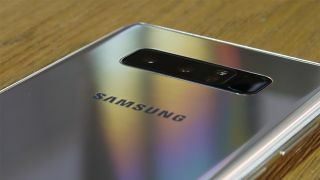 Samsung is set to launch its much-anticipated Galaxy Note 9 smartphone today, and we've got details of how you can watch the event, as well as news on Fortnite for Android, Huawei, Google, and Magic Leap's new headset – all courtesy of our friends at TechRadar. Samsung is planning to unveil the Galaxy Note 9 later today, with the event kicking off at 4pm BST / 11am EST. Thanks to the flood of leaks that have already poured out about the device, we pretty much know what to expect already – click through to read everything we've learned so far, and to get details of how you can tune into the event livestream. If the rumours are to be believed, the Note 9 will arrive with a brand new game, exclusive to Samsung for a certain time period: Fortnite on Android. The super-smash hit battle royale experience has already leaked out, as has some video of how the gameplay looks on a Galaxy S9 Plus. If you can't wait until later in the day for a demo, check it out now. Once we've got over the excitement of the Galaxy Note 9 launch, one of the next handsets on the horizon is the Huawei Mate 20, another device set to boast a large screen. Based on a preview sent out by Huawei itself, a big battery is going to be one of the highlights, maybe something in excess of 4000mAh. October is rumoured to be the launch month. This particular augmented reality (or mixed reality) headset has been a long time coming, but the Magic Leap One Creator's Edition is now on sale, if you're in a US city where shipping is supported – and if you have $2,295 (about £1,785) to spare. It's still an early version of the headset, aimed at developers, but it's another step towards a full launch. As well as the Note 9, we've also seen plenty of speculation about what's coming with Google's next batch of Pixel phones, expected to arrive sometime in October or November. Thanks to a leaked unboxing video, we now know a lot more about the larger Pixel 3 XL – it's going to come with a hefty notch, and some USB-C headphones included in the box.